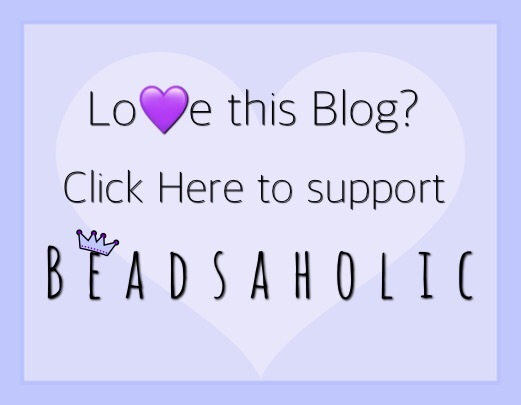 Today Beadsaholic brings a review of Aurora Sweet Grape an exclusive at Beads Fanatic! Coming up this Friday, September 7th, 2018 this beautiful Sweet Grapes will be available in very limited quantities as part of the Beads Fanatic event Bead Fiesta with Tapas! In Spain grapes are very much part of the culture there. To bring in the New Year it is tradition that you eat one grape for each stroke of midnight. This tradition in hopes brings twelve months of good luck. Spain is also well known for their Mistela a sweet aromatic wine. When walking through a vineyard you would find that bees and grapes go hand in hand and are a very important part of our ecosystem. Aurora Sweet Grape is a beautiful bunch of grapes adorned with a beautifully detailed bee. The leaf and vine wrap around your bracelet. Sweet Grape’s measures approximately 15.64 mm high x 10.30 mm wide and retails for €55, price includes vat. This bead is an exclusive to Beads Fanatic and only fifty pieces have been made. I have included lots of photos of Sweet Grape at different angles. I love the details of the leaf. There is only one bee adorning this bead. Here I have paired Sweet Grapes with Aurora Tahiti Island, Ohm Beads Spring Reflections, Trollbeads Bumblebee Spacer, Rose Spacer and Lightening Bud Spacer. Over all, this is a beautifully designed bead and if you pre-ordered the Ohm Pre-wine, then I think you will find that this bead will match perfectly. This bead will fit in perfectly in just about any composition. If you would like to order this bead, it will be available at 10 am Madrid time this Friday, September 7th, 2018 during the Bead Fiesta at Beads Fanatic! Click banner link below to shop. 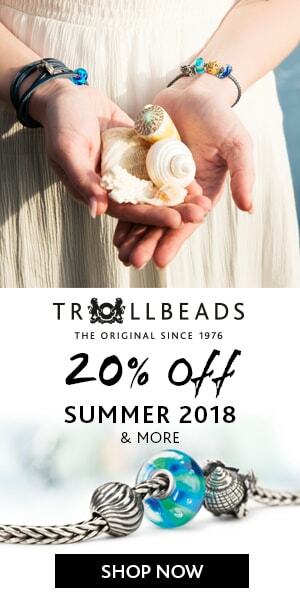 Please note that Beads Fanatic offers vat free shopping for those outside of Europe and free shipping for those who reside in Europe. As always, I love hearing from you all. What are your thoughts of the Aurora Sweet Grape? Leave me a comment below! I think I need to set my alarm for 4am !! Great combo. I might need these. As a lover of wine and someone who had a partner who was from Burgundy, this beads is perfect and I was able to get one early this morning. Needless to say, I’m ecstatic!